Want to save over £305? Sorry to hear you're thinking of leaving. Before you make your final decision, as to whether to cancel or stay, we wanted to share with you this fantastic, one time, special offer to see if we can change your mind. We would love for you to continue being a member with Swift. We love rewarding loyalty, so we have put together an offer you really shouldn't miss out on. Throughout 2017, we're planning on increasing our membership fees for all new members joining Swift. There will be new joining fees, plus an increase in the monthly membership. As you've been with us for a while now, we want to reward that loyalty by giving you the chance to not only miss the price rise entirely, but pay less from today. Yes that's right, from today, if you stay, you actually pay less!! We've put together a detailed guide all about the various types of workouts you can do in the comfort of your own home. Ever wondered what an AMRAP, FOR TIME & FARTLEK workouts are? We explain exactly how to do them, & even create your own. Plus we have included 10 'done for you' workouts for you to use straight away. (Yes, an actual physical copy). There is so much information out there, it can sometimes be a bit overwhelming. In this Kick Start guide, we’ve broken everything down into three easy to understand sections. It’s a guide for you to use as inspiration, to track your progress, and use as a workbook along side your training plan. 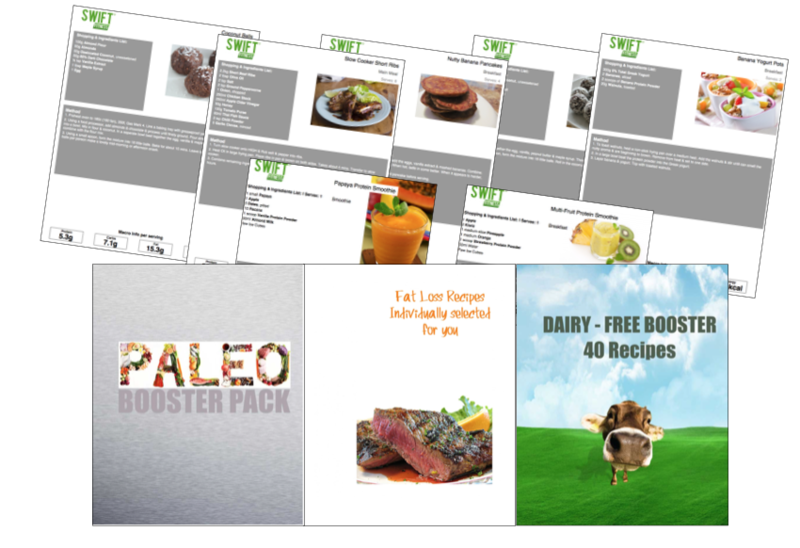 We've put together one of the most comprehensive healthy recipe bundle available. 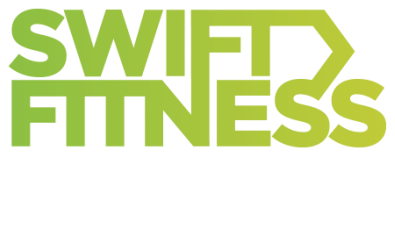 For a limited time you can book a private online strategy session with Sam Warrington, founder of Swift Fitness for just £55 (usually £110). You’ll get to spend 60 uninterrupted minutes on the phone with Sam Experts to discuss your diet, fitness & mindset. He will give you his undivided attention and the call really is about YOU and your body. Sam's there to give you advice and listen to you. You’ll be able to discuss your challenges and goals openly and he will help you pull together a plan of action and share some ideas with you to help move towards your goals. We’ll hone in on all the details of where you are now and where you want to be in 12-18 months’ time and help you put realistic milestones and plans in place to get you there. You’ll start thinking properly! – Too many people aren’t challenged enough. They ‘think’ they are doing the right things for their health, yet they aren’t seeing any real results. Sam won’t sit back and nod along if they know you should be doing things differently – they will question you and challenge you – but at the end of the call you’ll know a lot more than you did at the start and have a lot more ideas on how you can move forward. That's a HUGE SAVING of over £305! The offer is running for a strictly limited time only, for the next 48 hours you get the chance to save yourself over £305in month 1. Are you going to stay, saving over £305 worth of incredible programmes, products and support. Are you going to commit, get in the best shape of you life, and be the person you know you can be. "I want to Stay and SAVE over £305"
Did you know you can freeze your membership for FREE, for up to 6 months? This means, if you're busy at the moment, or just not finding the time to come down, you can freeze now, locking in your price, and you can return when you want. I still want to Cancel but do 'Pay as you go'. If you would still like to cancel, then you can do that by clicking the button below.